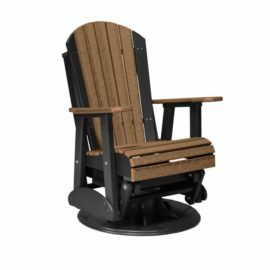 Unwind after a long day with one of our recycled plastic gliders! 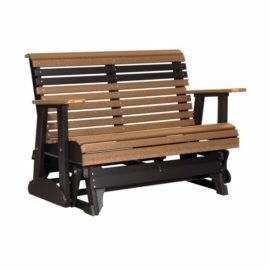 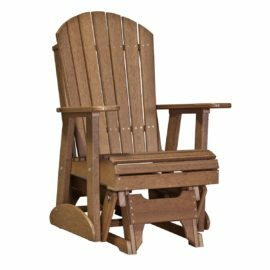 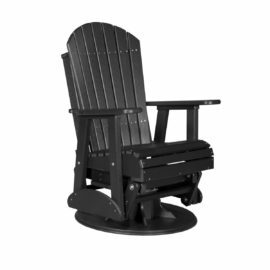 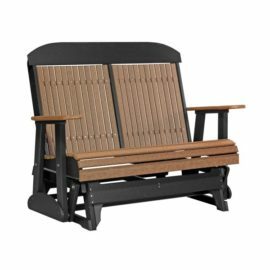 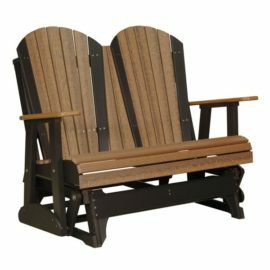 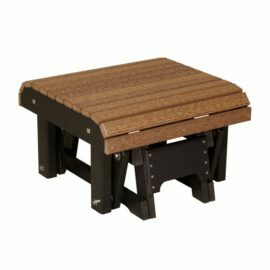 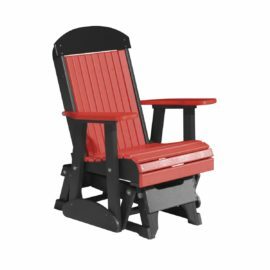 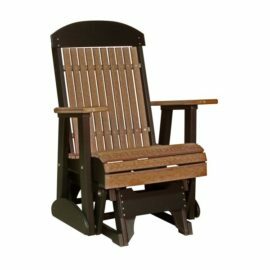 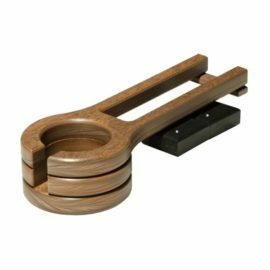 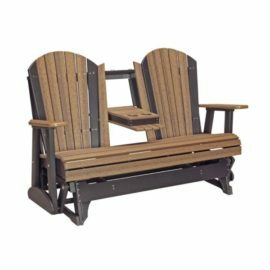 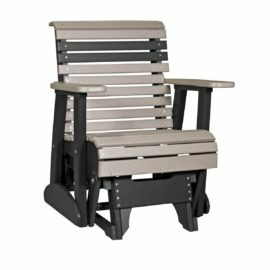 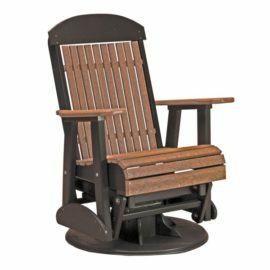 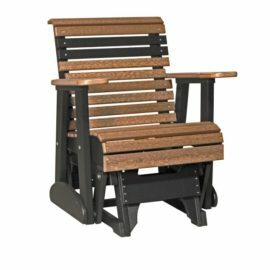 Choose the classic styling of the Adirondack glider, the clean look of the Classic glider or the simple design of the Plain glider. 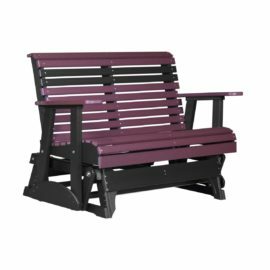 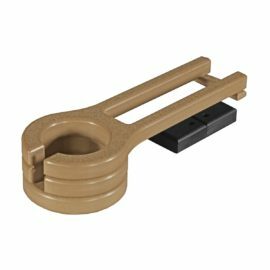 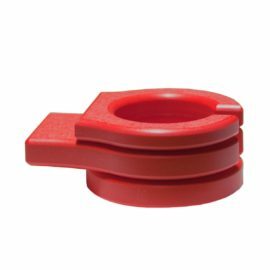 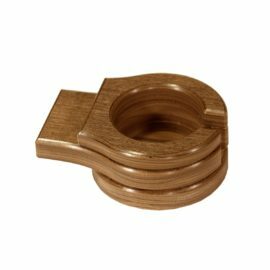 Our gliders come in a wide selection of colours so you’ll get the look you crave. 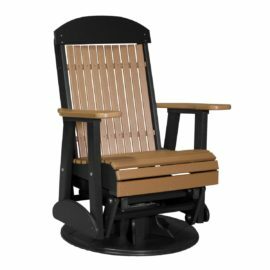 Your stress will melt away as you glide comfortably while knowing your glider is backed by a limited lifetime warranty! 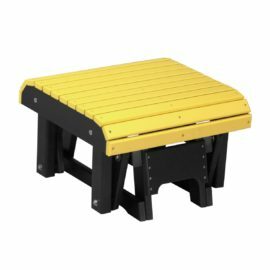 Quality you can see the moment you step in our showroom! 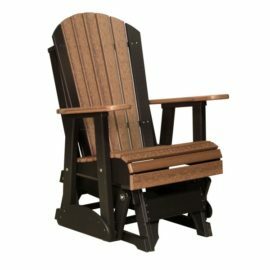 Experience the difference that comes with expert Amish craftsmanship. 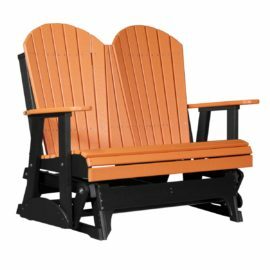 Finally, recycled plastic gliders that combine the convenience of poly with the quality of Amish handcrafted furniture. 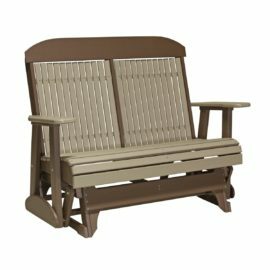 Combine that with a limited lifetime warranty and it’s the last outdoor glider you’ll ever need! 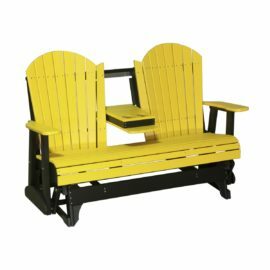 All you need to do is pick your colours, set it down, and relax!